I receive many emails and phone calls everyday asking for delicately designed petite rings, including petite engagement ring and petite wedding rings. For some time now, the trend has been going towards a more petite ring style. I see this every day and can understand why people are going for this more delicate look. 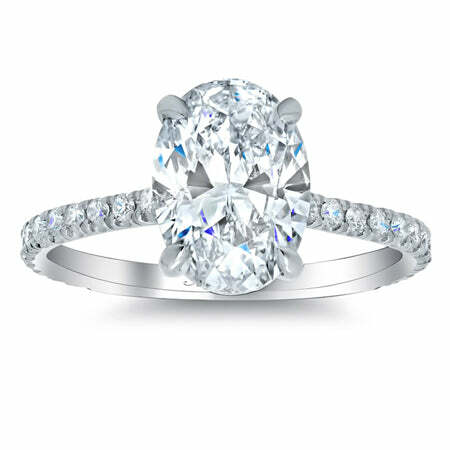 This petite engagement ring is one of the most popular micro pave diamond engagement rings we sell. This ring has the most delicate shank (ring portion that goes around your finger). This petite engagement ring has a 1.7mm shank. This is the narrowest ring we will manufacture as an engagement ring because anything narrower than this can have problems in the future. Remember your engagement ring will be worn daily, so there really needs to be a balance between designing a petite ring and one that will withstand daily wear. 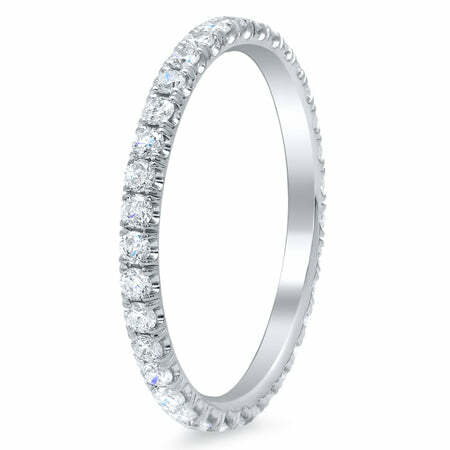 This is one of our most popular petite eternity rings. This ring is so popular that we manufacture and design this ring in widths of 1.5mm, 1.7mm, 2.0mm, 2.5mm and 3.0mm. In my professional opinion, if you are looking for that perfect petite eternity ring, go with the 1.5mm, 1.7mm or 2.0mm width ring. Let deBebians design the perfect petite ring for you. With years of manufacturing and designing rings, we understand the desire for a petite ring whether it’s an engagement ring or wedding band. Please do not hesitate to call on us to design the petite ring of your dreams.